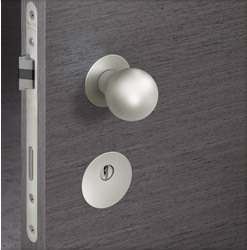 FSB has produced quality architectural hardware for over 40 years. 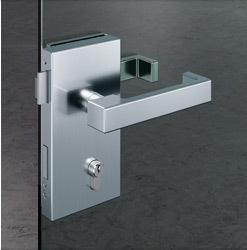 Made in Germany, they manufacture door lever handles with standard, heavy-duty and fire-safety bearings as well as hinges, locks, lock cylinders, window handles and accessory products such as door stops and finger plates. Inspired by the spirit of Bauhaus, FSB blends form with function, being the originators of some of the most iconic designs seen in the hardware industry. Aluminum from FSB provides a high-tech material solution that is light-weight and highly durable, with designs inspired by Johannes Potentes in the 1950’s. Please note that for Custom Powder Coated finishes, prices and lead times may vary; please contact a Harbrook associate for more details. Stainless steel is highly suitable for door and window fittings due to its corrosion resistant properties and durability, requiring very little care or maintenance. An invisible passive layer that forms on its surface has bactericidal properties. Stainless steel is recommended for all heavily used doors and window fittings. 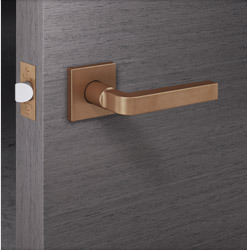 FSB offers brass options for many of their products for selected doors, entrance doors, window fittings, and their accessory lines. Bronze options from FSB ensure an everlasting beauty in natural patinas. Bronze parts darken with oxidation (naturally occurring) due to environmental influences and aging, thus ensuring radiance for many years to come. Like FSB’s brass alloy products, FSB’s bronze has bactericide properties.